iPhone is, no doubt, one of the most popular and best smartphones worldwide. The extensive features, performance, speed, and decent design of iPhone make it an ideal choice for most people. Not only smart phones provide a great way of social entertainment, but they also help us save time and be productive throughout the day. We tend to keep notes, reminders, and set alarms to notify us of important things happening in our lives. Sometimes, unexpected things happen, and you may lose a significant amount of data from iPhone i.e. 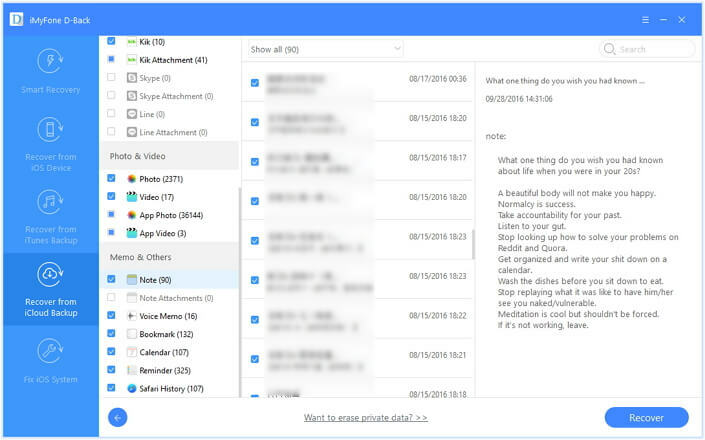 notes, reminders, audio, video, chat, call history and more. What to do in such a situation? Well, follow this article and learn more about how to perform free notes recovery on iPhone. iPhone uses an SQLite Database to store data and information for its users. When a user deletes a certain data from the device, the data is marked as “Unallocated Data” from “Allocated Data”. This means, the data is still stored in the device and just the associated tags with the data are changed. You may have read that it is not recommended to use the device once data is accidentally deleted. This is because when new data is stored on the iPhone, the SQLite Database overwrites the old deleted data with the new one. If you have lost data on your iPhone, stop using your iPhone right away. Using the iPhone, downloading files, taking pictures, and installing applications will just decrease the probability of data retrieval. Hence, you will not be able to recover the data. For now there is on totally free iPhone notes recovery tool. 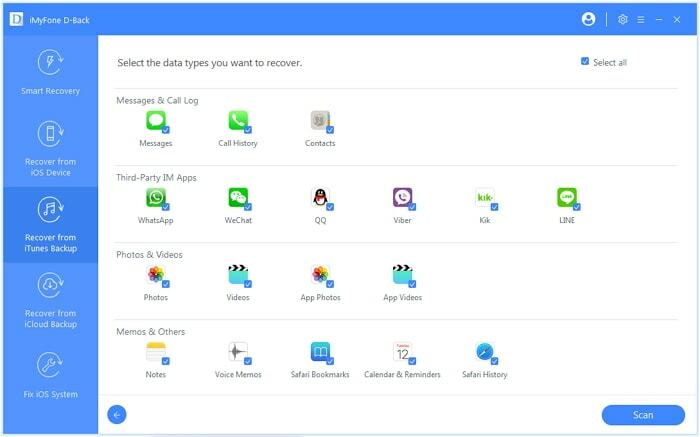 However, there are some tools with free trial version which you can use to check before recovery. 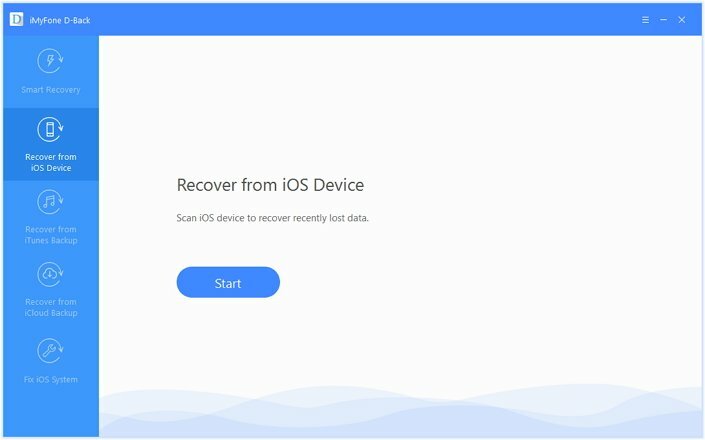 In case you have not made any backup in your iPhone, then the only solution is to use a third-party data recovery software. iMyFone D-Back is an iPhone notes recovery tool with free trial version that provides an easy access to iPhone and retrieves the lost notes with or without backup. The added features, user-friendly interface, easy installation, and multiple data recovery modes make it the best solution for free notes recovery for iPhone. You can recover notes from iPhone with no backup. You can view the notes within your iTunes and iCloud backup. You can recover notes without restoring. You can recover notes without affecting your current data or losing any data. More than 18 data types are supported, including notes, message, contacts, WhatsApp, call log and etc. Step 1.Open iMyFone D-Back on Mac or PC. 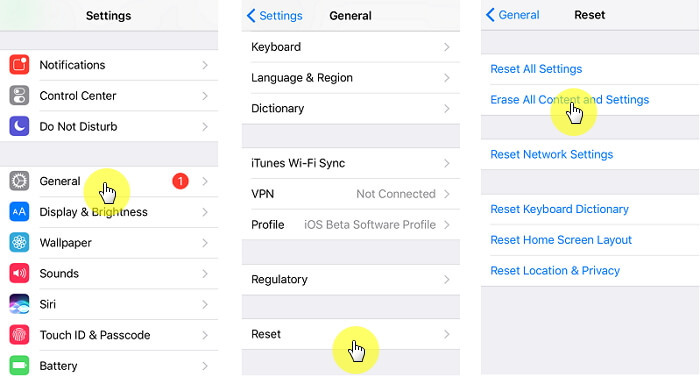 Click “Recover from iOS Device” and select “Start” to proceed. Step 2.Connect iPhone to computer via USB cable and wait for a few seconds until D-Back recognizes it. Then click “Next”. Step 3.In case of iPhone notes, select the “Note” icon and click “Scan”. Step 4.After scanning, D-Back will preview the recovered files from the “Note”. Click “Show Only Deleted Files” and select the required files. You can mark tick the “Select All” button to recover the entire folder. Then click “Recover” to complete this process. If you had made the iTunes backup prior to the notes deletion, here is how you can recover notes from iPhone - fully or selectively. Step 1.Launch D-Back on Mac or PC. Click “Start” after entering the “Recover from iTunes Backup” tab. Step 2.Enter the login details in case of an encrypted iTunes account. Step 3.Select the “Note” icon under the “Memo & Others” field and click “Scan” to proceed. Step 4.When the scan completes, iMyFone will show a preview of the files recovered from the Notes. Select the required notes and click “Recover” to complete the process. Note that you can also click “Select All” option and recover all files from the notes folder. If you have made the iCloud backup before the deletion of notes from iPhone, follow these steps to recover notes selectively or fully using iMyFone D-Back. Step 1.Install and open D-back on a desktop PC or Mac. Click “Recover from iCloud Backup” and then click “Start”. Step 2.Sign in to the iCloud account using Apple ID on the next screen. Step 3.After signing in, select the most relevant backup you want to use to recover notes and click “Next”. Step 4.Select the “Notes” icon on the next screen and click “Scan”. Step 5.iMyFone D-Back will show a preview of the recovered Notes after scanning. You can either select the required notes or click the “Select All” button to recover the notes. After selecting the files, click “Recover” to complete the process. 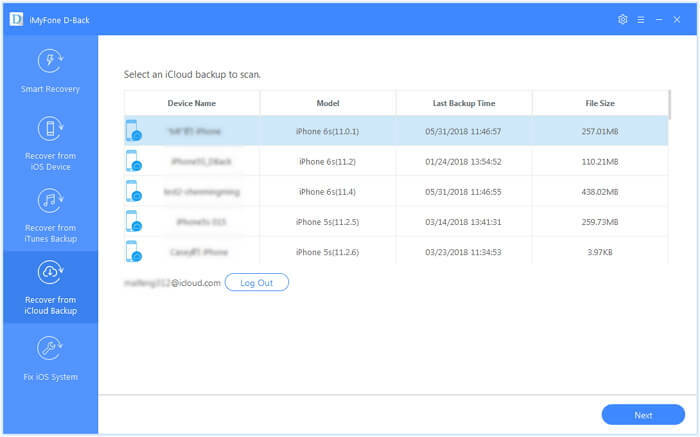 Note that if you are concerned about logging into iCloud with iMyFone D-back, worry no more because D-Back doesn’t keep any records of its users. Thus, your data and personal information are 100% safe. On the other hand, you can also use the iTunes or iCloud backups and recover the lost files in an official way. Please note that this will replace your current data. Step 1. Launch iTunes on desktop PC or Mac. Step 2. Connect the iPhone with the computer and enter the iTunes login details. Step 3. Recognize your iPhone when asked on the iTunes. Step 4. Now click “Restore Backup” and select the most relevant iTunes backup to recover the notes. Step 5. Click “Restore” and complete the process. Note that the restoration can take a few minutes according to the backup file size. Step 1. To restore data from iCloud, you will have to erase all the iPhone settings and content. You can do this at this part: Settings > General > Reset > Reset All Settings and Content. Enter the Apple ID details to complete the process. Step 2. 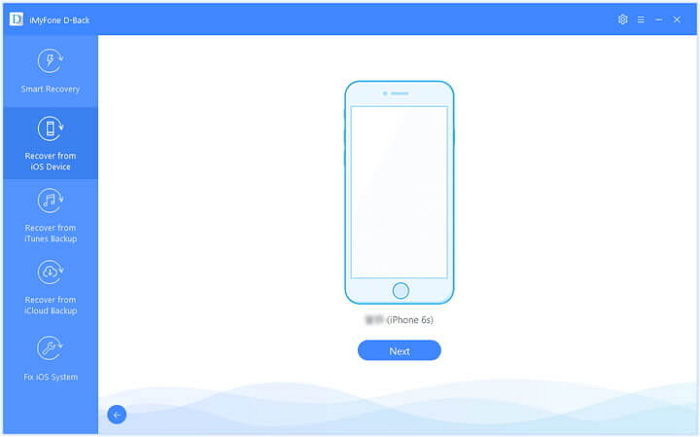 After restoration, iPhone will reboot, and you will see a Hello screen. Step 3. 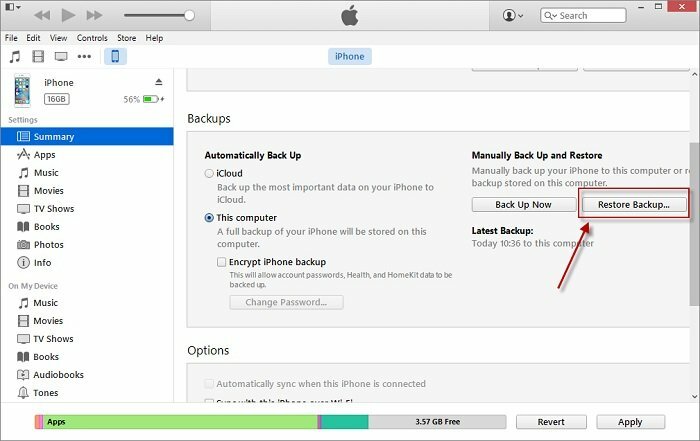 Set up a device and click “Restore from iCloud Backup” at the “App & Data” page. Step 4. 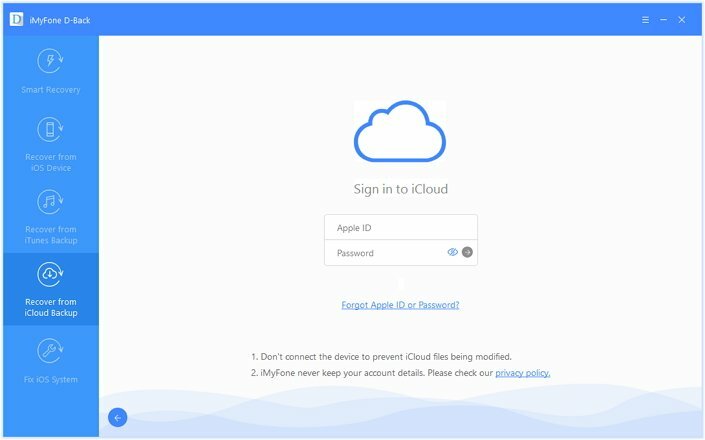 Sign in to the iCloud using the Apple ID. Step 5. Select the most relevant backup to restore iPhone notes. The main reason why using the iMyFone D-Back to recover the iPhone notes is that it provides the accessibility to fully or selectively recover the deleted files. This means you won’t have to use the whole iTunes/iCloud backup to recover notes. On the other hand, using the iTunes or iCloud backup in an official way doesn’t let you view the file content. You will have to restore all the files stored in the backup. Yes, including the ones that you intentionally deleted but they were backed up before. Each of the above solutions has advantages and disadvantages over the other. 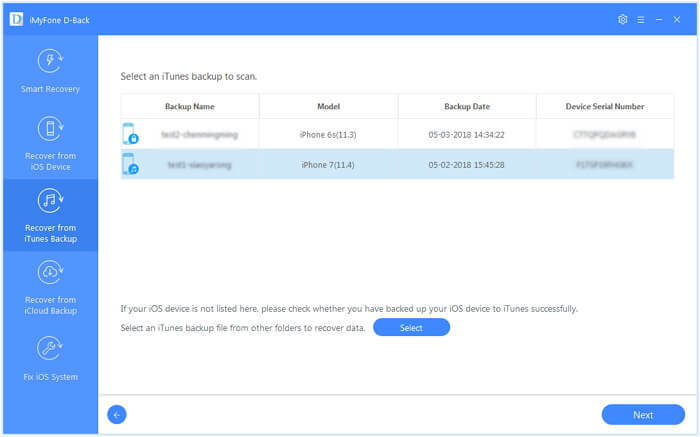 While using a third-party tool requires you to selectively recover what you need, the iTunes and iCloud backups don’t let you view or recover like this. Overall, the best way to recover the iPhone notes is to use the iMyFone D-Back data recovery for iPhone. Do not hesitate to try its free trial version. In case of further questions or suggestions, feel free to leave a reply below.